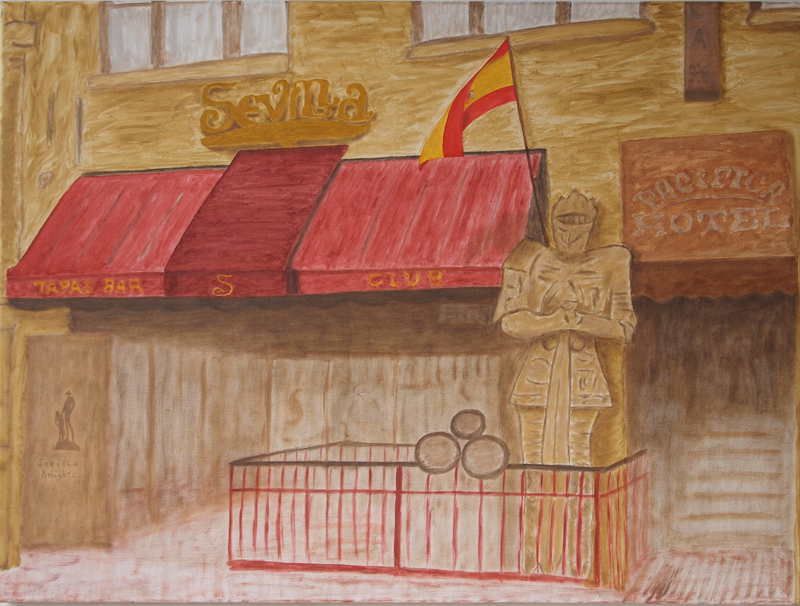 George Mullen, Sevilla Nights – Café Sevilla 4th Avenue, 2008 – 2010, 30″ x 40″, oil on canvas. Copyright © 2010 George Mullen. All Rights Reserved.